A biologist and a physicist collaborate on a decade-long exploration of the physical parameters of membrane traffic in eukaryotic cells. In prokaryotic cells, simple diffusion is largely responsible for getting nutrients to where they need to be and for removing waste products. But eukaryotes, which are much more complex, require a specialized mass-transit system. This system consists of membrane-bound structures called transport carriers that ferry cargo into, out of, and around the cell. Over the past decade, our interest has centered on this system, particularly on the interplay between the biophysical properties of the membranes and the way in which these properties are exploited by specific biological molecules to construct and direct this transport system. It is an ideal topic for collaboration between a biologist and a physicist. When we were first introduced to one another in 2000 by Jacques Prost, who was then director of the physical chemistry lab at the Curie Institute, we could not have guessed that we’d become such close research collaborators, given our divergent interests and experience. Yet the encounter was no coincidence. The Institute was fostering links between cell biology and physics through a program called “Physics of the Cell” that allocated small cross-department grants. We quickly realized that the mechanisms behind the formation of transport carriers in cells excited us both, so we enthusiastically accepted the funding and started our collaboration. The other of us (Patricia) was trained as an experimental physicist in soft matter and had worked initially on the physical aspects of liquid crystals. The intrinsic nonequilibrium nature of biological membranes captured Patricia’s interest, leading her to study, in collaboration with Jacques Prost, the fluctuations of model lipid membranes in the presence of membrane proteins. Patricia had already known of Bruno’s findings on Rab6-decorated membrane tubules before we met. Almost immediately, we agreed on our joint goal: we would develop an in vitro assay that mimics the initial steps of intracellular transport. In particular, we would concentrate on the creation of the tubular carriers and the membrane deformation involved in their formation. We recruited a student, Aurélien Roux, to work with us. Aurélien, who now has his own lab in the biochemistry department of the University of Geneva, would generate tubular carriers by attaching biotinylated kinesin motor proteins to biotinylated lipid membranes using 100-nm polystyrene beads coated with streptavidin. The membranes known as giant unilamellar vesicles (GUVs) provide a simplified model of a cell membrane lipid bilayer. 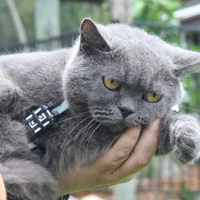 (See figure 1, below.) 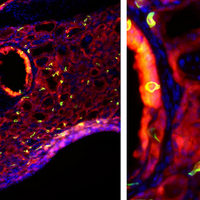 When incubated with microtubules and ATP in small chambers, GUVs did indeed give rise to membrane tubes and to complex tubular networks that could be visualized by confocal microscopy.2 (See photomicrograph on opposite page.) 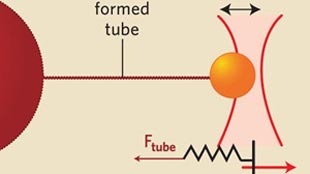 This experiment was the first demonstration that the force generated by kinesins was sufficient to pull a membrane tube from a membrane reservoir. Remarkably, as shown by transmission electron microscopy, the tubes that were pulled from GUVs made of egg phosphatidylcholine (EPC) had a constant diameter of 40±10 nm, a value close to that estimated for tubular transport carriers operating, for example, between the Golgi and the plasma membrane in vivo. Membrane tubes similar to those involved in intracellular transport can be pulled by kinesin motor proteins bound to giant unilamellar vesicles (GUVs) that move along immobilized microtubules in the presence of ATP. The kinesins can be bound either via small streptavidin-coated polystyrene beads (left) or via streptavidin molecules associated with the lipid bilayer itself (right). A second student, Cécile Leduc, was able to monitor the dynamic accumulation of kinesins at the tips of membrane tubes, where the molecules are collectively responsible for generating sufficient force to form tubes.3 For these experiments, kinesins tagged with streptavidin were directly attached to the lipid membrane of GUVs via biotinylated lipids, following a method developed by the team of Marileen Dogterom in the Netherlands.4 (See figure 1.) In parallel, colleagues in the physics department had started to work on theoretical aspects of the physics of membrane tubes, to identify the forces and parameters involved in tube formation by molecular motors. Their analysis of the dynamics of motors on both vesicle and tube surfaces fitted Cécile’s experimental observations. Together, these studies identified the initial minimal surface density of motor proteins on the vesicle required to form membrane tubes, and, conversely, a maximum membrane tension above which motors cannot pull tubes.3 These model findings suggest that intracellular-membrane transport might be switched on and off in cells by regulating the number of available motors, the number of potential motor attachment sites (proteins or lipids) on the membrane, or the tension of the membrane. Cécile is now a researcher at the Centre de Physique Moleculaire Optique et Hertzienne in Bordeaux. Using this minimal model, we also set out to investigate physical parameters involved in the early steps of intracellular transport, including membrane curvature, membrane bending rigidity, and membrane tension. Because of the small diameter of actual transport carriers inside cells (typically 40–100 nm), they represent highly curved structures in comparison with the membrane from which they originate, which can be viewed as “flat.” During the early stages of vesicle formation from cell organelles, membrane proteins and lipids are sorted, ensuring efficient and accurate transport between cell compartments and the maintenance of homeostasis in organelle membranes. By 2004, the sorting of proteins had already been well described, but lipid sorting was much less clearly understood. To investigate constraints on lipid sorting, we pulled tubes from GUVs that were prepared from ternary mixtures of brain sphingomyelin, cholesterol, and dioleoylphosphatidylcholine (DOPC), representing the three major lipid components of the external leaflet of the plasma membrane. Depending on the relative proportion of the three lipids, they either mix to form a single homogeneous phase, or they demix and preferentially segregate in different phases. In the latter case, two phases coexist, a liquid disordered phase enriched in DOPC, and a liquid ordered phase enriched in cholesterol and sphingomyelin. The disordered phase is so called because the lipid tails in these patches of membrane have kinks and are disorganized so they do not pack together as closely as in the ordered phase. The force required to pull a tube is proportional to the bending rigidity and the tension of the membrane.5 Using optical tweezers coupled to a micropipette system, we measured the bending rigidity of the ordered and disordered phases. (See figure 2.) Membranes in ordered phase are about twice as rigid as membranes in the more loosely packed disordered phase.6 Given this, we predicted that lipids of the ordered phase should be excluded from tube formation, to reduce the energy cost needed to bend the membrane into tubes. This is exactly what we observed. In phase-separated vesicles, tubes were preferentially pulled out from the disordered phase; when pulled from homogeneous vesicles, the tubes were enriched in lipids of the disordered phase (DOPC). These experiments provided the first direct demonstration that lipid sorting can occur during the formation of highly curved membrane tubes.6 There are two hypotheses to explain lipid sorting during vesicle formation: either the vesicle is formed from domains of the donor membrane where the lipids are already segregated, or lipid sorting occurs at the same time as the vesicle forms. Our in vitro experiments support the latter hypothesis, namely the dynamic sorting of lipids. Proposed model for the association and dissociation of COPI coatomer in vivo. Coat proteins are recruited to the site of vesicle budding by membrane-bound Arf1 in its GTP form, and begin to deform the donor membrane. 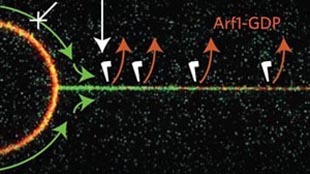 Sensing membrane curvature, ArfGAP1 is recruited to the budding site where it hydrolyzes GTP bound to Arf1, which then dissociates. As long at the budding site is attached to the donor membrane, the GTP form of Arf1 is replenished at the budding site. Once dissociated, the new vesicle lacks a fresh supply of Arf1-GTP. After all the Arf1-GTP has been hydrolyzed by ArfGAP1, the COPI coat dissociates from the newly formed transport vesicle or tubule. 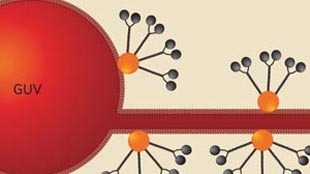 Because the tool set available to biologists to study cellular function have been predominantly biochemical techniques, the story of how cells work is dominated by protein interactions. 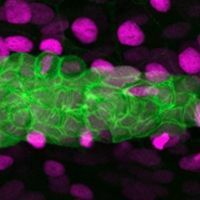 Recently, researchers have begun to appreciate that physical properties play a much bigger role in cellular activities than was previously suspected. In fact, it is the ways in which a cell takes advantage of physical and biochemical properties together that has interested us most. The functions of proteins that sense or induce membrane curvature have received considerable attention recently because of the importance of these phenomena during the formation of vesicles and tubular carriers involved in intracellular transport. 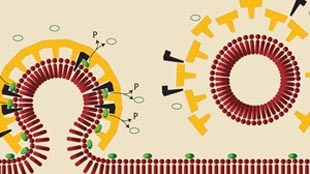 During formation, vesicles and tubules are surrounded by coat proteins, such as the COPI coatomer, which are recruited to the site by activated coat-recruitment proteins such as Arf1 (ADP-ribosylation factor), a small G protein that binds to Golgi membranes as the first step in coat assembly. Several proteins involved in vesicle formation, including the ArfGAP1 protein, contain a lipid-binding structural motif, named ALPS, that senses membrane curvature. Gradient of Arf1 molecules (green fluorescent label) along a membrane tube containing lipids (red fluorescent label) pulled using a bead (large green sphere, right) trapped in an optical tweezers. The gradient is due to the competition between diffusion of Arf1-GTP from the giant unilamellar vesicle (GUV) on the left into the pulled membrane tube (green arrows) and the dissociation of Arf1-GDP induced by ArfGAP1 hydrolysis of Arf1-GTP, which occurs in the tube because of its high curvature. The low curvature of the GUV membrane prevents ArfGAP1 binding and protects Arf1-GTP from hydrolysis. The next step towards understanding the influence of membrane curvature on ArfGAP1 enzymatic activity was to investigate the distribution of Arf1 on the vesicle and the membrane tube in the presence of ArfGAP1. ArfGAP1–induced GTP hydrolysis on Arf1 generated an Arf1 gradient along the tube, Arf1 density decreasing linearly from the base to the tip of the membrane tube. (See figure 4.) This nonuniform distribution of Arf1 along the tube was suggestive of a diffusion-dependent component to the reaction process: ArfGAP1 activity induces the dissociation of Arf1 from the tube; however, because the tube is connected to the vesicle (GUV), Arf1 can diffuse from the vesicle to the tube and compensate for Arf1 dissociation. This diffusion-reaction model has been experimentally validated.13 Taken together, these finding suggest that membrane fission is the triggering event for coat disassembly. When the neck of the COPI-coated vesicle is cut, the dissociation of Arf1 from the membrane after GTP hydrolysis is no longer compensated for by Arf1 diffusion. As a result, the coat should readily disassemble. (See figure 3.) Recently, Benoît has used a similar approach to study amphiphysin, a protein with a crescent-shaped binding domain that is involved in the generation of clathrin-coated vesicles. He showed that this protein has a dual behavior: at low concentration, its levels in membranes depend on membrane curvature—reminiscent of ArfGAP1—but it cannot deform the membrane. At high concentration, amphiphysin constricts a membrane tube, independently of the membrane tension (Sorre et al., submitted). Our collaboration, combining biophysics and cell biology, and illuminated by our interactions with theoretical physicists, has been particularly fruitful and gratifying over the past 10 years. Right now we are planning to deepen our partnership still further with an ambitious project aimed at understanding how different classes of actin-based motors of the myosin family function in membrane trafficking and membrane dynamics. This project will exploit the minimal in vitro system developed in our laboratories. Over the last decade we have challenged one another and generated reciprocal interests: Bruno has become more receptive to and interested in physics concepts, and Patricia continues to explore projects more related to cell biology. Based on the results of our cross-disciplinary collaboration, we advise others to embrace the approach. The challenges and rewards of considering alternative perspectives will add exciting new dimensions to your research design and experimentation. Patricia Bassereau and F1000 Member Bruno Goud are both at the Institut Curie in Paris. Bassereau leads the Membrane and Cell Functions group in the Physical Chemistry unit and Goud is the director of the Subcellular Structure and Cellular Dynamics unit where he leads the Molecular Mechanisms of Intracellular Transport group. 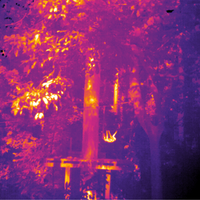 This article is adapted from a review in F1000 Biology Reports, DOI:10.3410/B3-7 (open access at http://bit.ly/hwBycR). For citation purposes, please refer to that version. J. White et al., “Rab6 coordinates a novel Golgi to ER retrograde transport pathway in live Cells,” J Cell Biol, 147:743-760, 1999. A. Roux et al., “A minimal system allowing tubulation with molecular motors pulling on giant liposomes,” PNAS, 99:5394-99, 2002. C. Leduc et al., “Cooperative extraction of membrane nanotubes by molecular motors,” PNAS, 101:17096-101, 2004. G. Koster et al., “Membrane tube formation from giant vesicles by dynamic association of motor proteins”, PNAS, 100:15583-88, 2003. I. Derenyi et al., “Formation and interaction of membrane tubes,” Phys Rev Lett, 88:238101-1-4, 2002. B. Sorre et al., “Curvature-driven lipid sorting needs proximity to a demixing point and is aided by proteins, PNAS, 106:5622-26, 2009. J. Allain et al., “Fission of a multiphase membrane tube,” Phys Rev Lett, 93:158104, 2004. V. I. Slepvev, P. De Camilli, “Accessory factors in clathrin-dependent synaptic vesicle Endocytosis,” Nat Rev Neurosci, 1:161-72, 2000. A. Roux et al., “Membrane curvature controls dynamin polymerization,” PNAS, 107:4141-46, 2010.